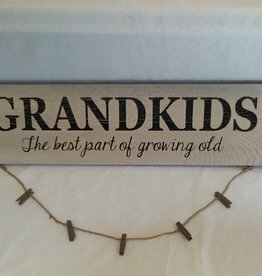 Grandkids Photo Holder w/Clips, 22"x6"
Looking for a great little add-on for a shower or baby gift? 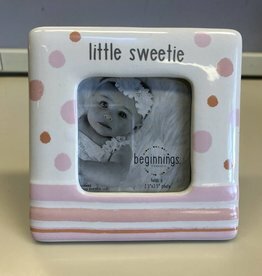 This cute little frame is the perfect item! It holds a wallet sized photo (approx. 2.5" x 2.5"). Frame is 4" x 4". Milestone Blanket-Stay Wild My Child, 42"x36"